You might have invested lots of money on Blu-ray collection. When you bought them, you want HD video viewing that only Blu-ray can give you. Now, they're being replaced by more convenient streaming sites like Netflix, which can offer high-definition content. So you have a choice on whether to rebuy your favorite movies and TV shows or get as much life out of your Blu-ray collection as possible. Copying your personal Blu-ray collection to M4V for iTunes is a great way to build your digital library to enable you enjoy high definition movies on ATV, Mac, iPhone and iPad without original Blu-ray discs. Why we choose to rip Blu-ray to M4V? 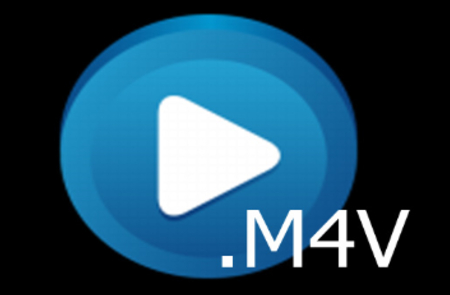 M4V file format is a video container format developed by Apple and is mainly used on iPhone, iPad, iPod and Apple TV. By converting Blu-ray to M4V, you can enjoy your Blu-ray movies on iPhone 7, iPad Pro, Apple TV 4, iPod, Mac, MacBook Pro, iMac using iTunes no matter you are at home or on the go. Besides Apple devices, you also can play these Blu-ray M4V rips with Media Player Classic, K-Multimedia Player, RealPlayer, Zoom Player, VLC media player, MPlayer, DivX Plus Player, and Nero Showtime (included with Nero Multimedia Suite). Since the M4V files from Blu-rays are not like the iTunes M4V files with DRM, the M4V files also can be played on webOS Video Player for use on the Palm Pre, Palm Pixi smartphones. It is also playable by the Android operating system with its video player. With these benefits, you might also want to copy DVD to M4V. To rip Blu-ray to M4V for iTunes or other M4V media player, you need a Blu-ray to M4V Converter or a Blu-ray Ripper that can decrypt Blu-ray and shift Blu-ray M2TS to M4V format. 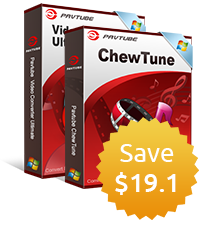 Pavtube BDMagic for Mac is a Blu-ray ripping tool with prominent Blu-ray ripping and conversion functions. It can decrypt Blu-ray BD+, AACS, MKBv61, MKBv62, etc and convert Blu-ray, even 4K Blu-ray to MPEG-4 M4V, Apple TV H.264 M4V, Apple TV MPEG-4 M4V, iPod XviD M4V, iPod H.264 M4V for iTunes syncing and other video players with capacity of playback M4V files. The application allows you to load Blu-ray content from discs or Blu-ray ISO, Blu-ray BDMV folder from your hard drive then preview the resulting clips. So you can convert your any Blu-ray source to M4V with it. If there are multiple audio tracks or subtitles available, you can choose which should be used for the output M4V video files. Pavtube BDMagic for Mac allows you to convert Blu-ray to M4V on macOS Sierra while Pavtube BDMagic enables you to rip Blu-ray to M4V on Widows 10. So, you shoud get the right version on your computer to start the conversion. 1. Insert your purchased Blu-ray disc into the disc drive, and run Mac Blu-ray to M4V ripper on your computer. Click “File” ＞ “Load from disc” to realize Blu-ray movie loading work. Windows steps are similar with Mac software. Just get the right version software and follow the same steps to convert Blu-ray to M4V on Windows. 2. Click on Format > Apple TV. There are different optimized M4V formats for Apple TV 1/2/3. Choose any one you need. If you are Apple TV 3, you can select “Apple TV 3 1080p Dolby Digital Pass-through (*.m4v)” from the drop down menu. The profile Apple TV 3 is specially designed for 1080p Full-HD quality with Dolby Digital 5.1 Surround Sound, which can give you perfect movie enjoyment. 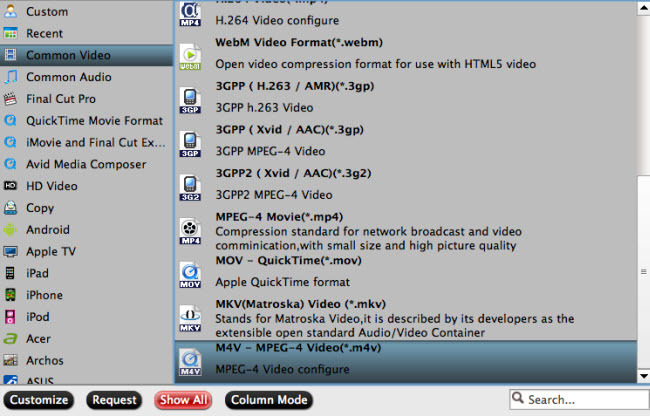 You also can choose "M4V- MPEG-4 Video(*.m4v)" in common video. You can modify audio and video properties when it comes to the size, frame rate, bitrate, chanel, audio codec, sample rate, etc in "Settings". For example, if you are ripping 4K Blu-ray to M4V, you may need to choose video size to 1920x1080 cause normal iOS devices can't support 4K resolution. 3. Hit “Convert” button on the main interface to start rip Blu-ray to M4V conversion. A new windows will pop up to show the process bar. Once it is finished, you can locate the generated M4V file in output folder. The iTunes part is easy. Simply navigate to your iTunes Media folder. 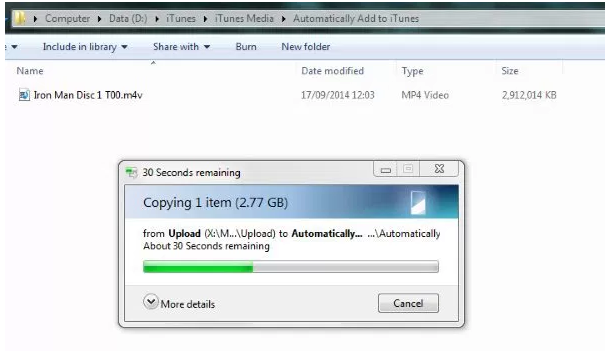 Copy the M4V file into the Automatically Add to iTunes folder. And then open iTunes to watch the magic take place. 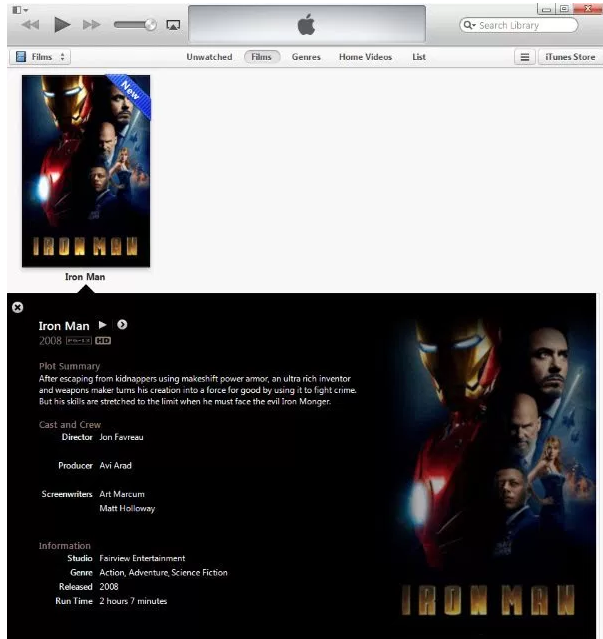 iTunes will not only use the meta data for display purposes, but it will use it for helping organise your media folder. It will create an appropriate folder structure and rename the video file to keep things tidy. So there you have it, ripping Blu-ray movies to M4V files and import the files into iTunes so they will play beautifully on your Apple TV 4, Apple TV 3, Apple TV 2, iPad Pro, iPhone 7 Plus, etc. You should now be able to connect to iTunes using the built in Home Network Sharing and stream.